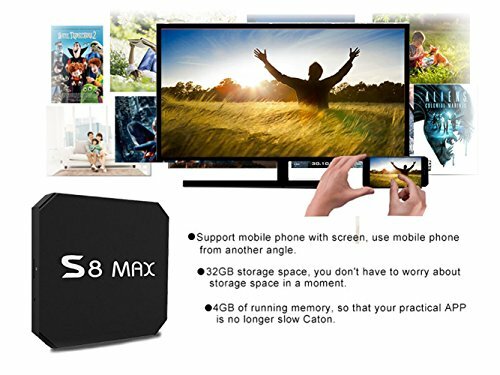 【The main function】:User interfaceStorage ExpansionStorage Expansion,BrowserBrowse webpage Video Can be connected to the Internet, watching video online,AudioMP3/WMA/APE/FLAC/AAC/OGG/AC3/WAV,Music Can be connected to the Internet, listen to music online,PictureSupports variety of image formats browsing（jpg、png、bmp...）,Flash Supports flash 11.1,Storage ExpansionMINI SD memory card and mobile hard disk expansion. 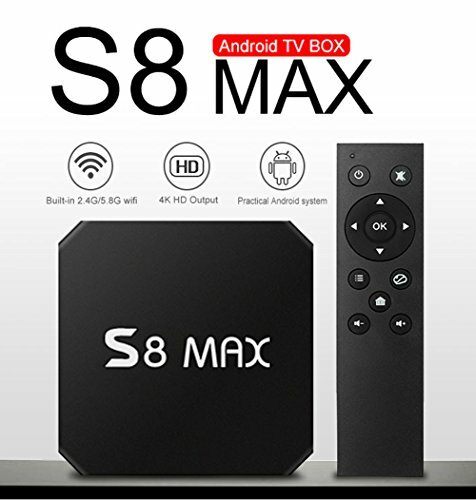 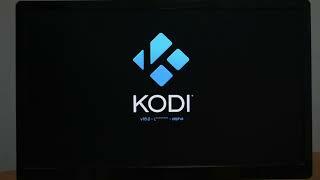 【Updated Android Software】: Android 8.1 NOUGAT OS, S8 max with Voice Control TV Box adds the newest features and apps such as Netflix, Youtube, Google Play Store, while fixing any previous bugs on Android 7.0 versions. 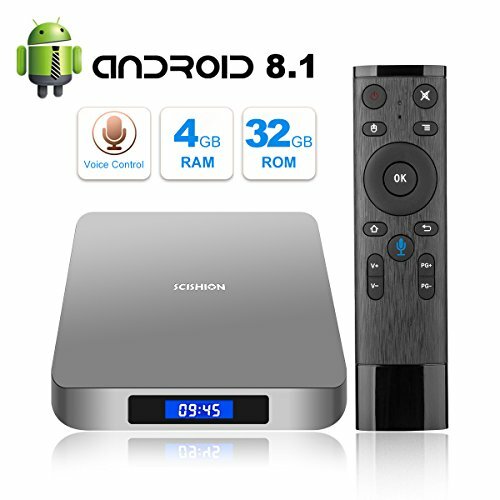 【Advanced Voice Remote】: Has a range of 50 feet, 3x further than traditional IR remote. 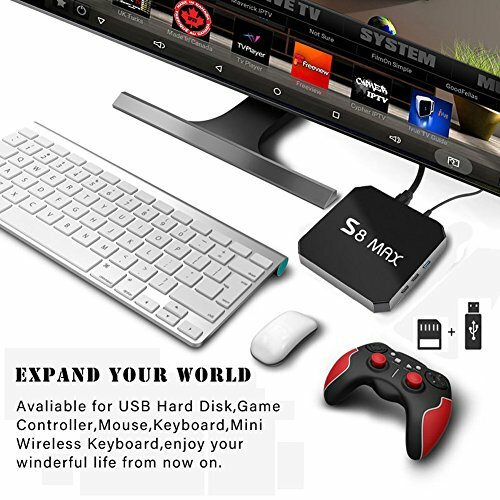 Simply talk to launch and control contents, save time searching, spend time watching. 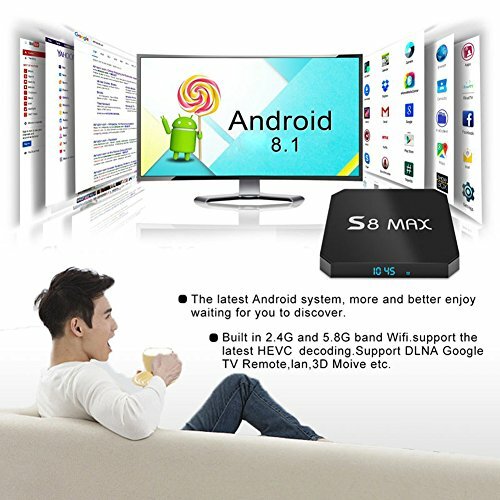 【Best App Compatibility】: Using the Google Play app store, anything can be downloaded to the box making it easier to enjoy a full Android experience. 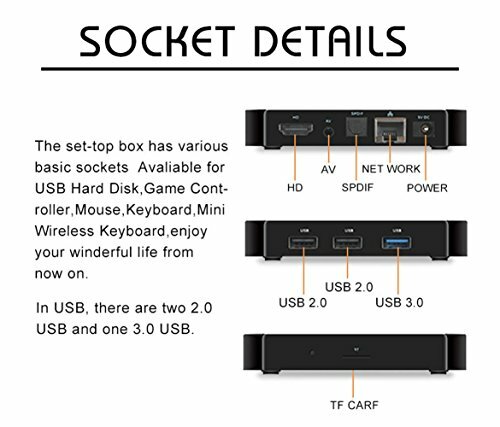 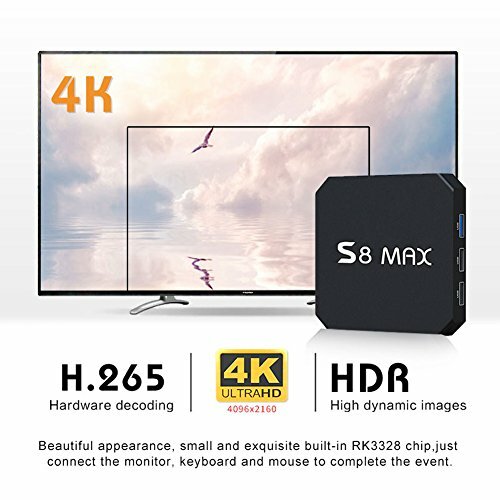 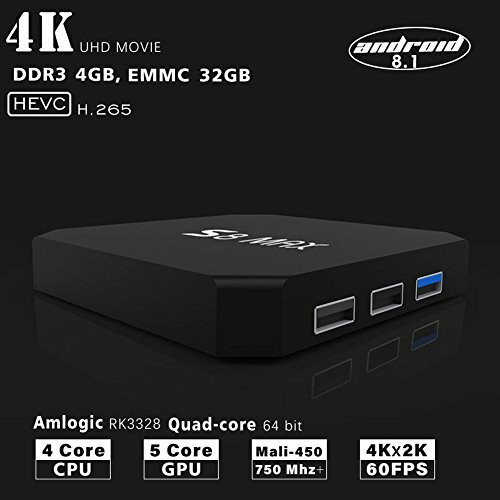 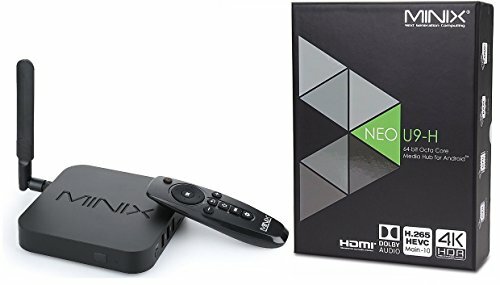 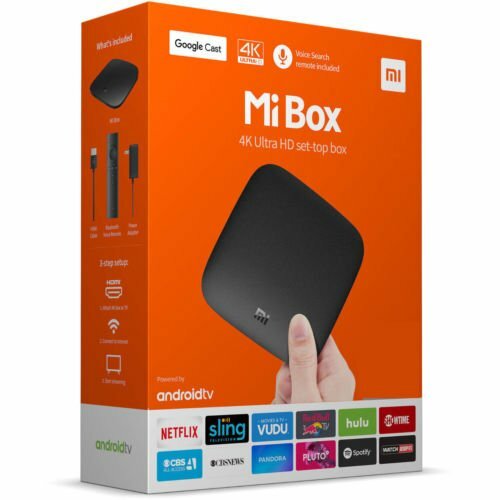 【INCLUDED IN BOX】: Android box, Remote, HDMI Cable, Power Cable/ - Advanced HDMI cable 17+1 supports to play 4K source with the fastest data transmission. 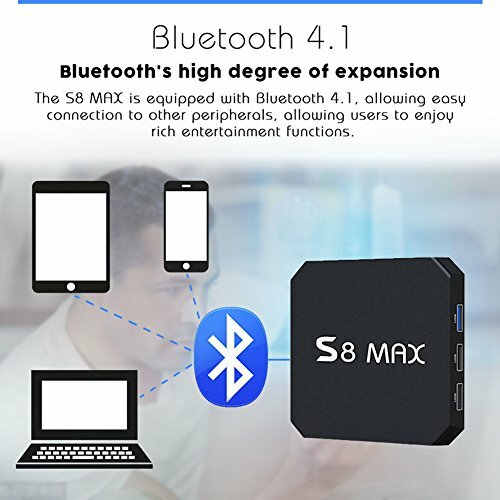 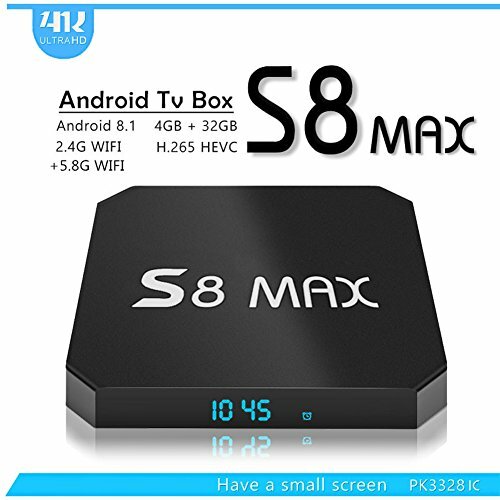 The Power cable with magnet ring suppresses common-mode voltage while avoiding Electromagnetic interference and protects against the circuit of the S8 max with Voice Control Android TV box and Power adapter itself. 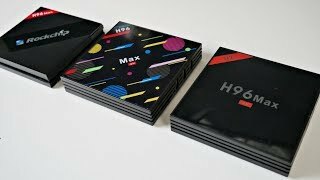 ALL H96 Max Android TV Box Models Compared - Which one is the best? 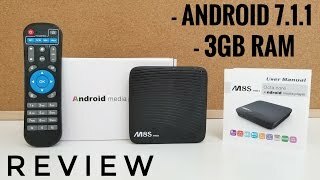 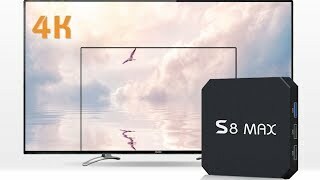 M8S PRO TV Box REVIEW - Android 7.1, 3GB RAM, S912 - Pretty Good!